Witterstaetter Writes: Stan Lee-- World's Most Influential Creator? 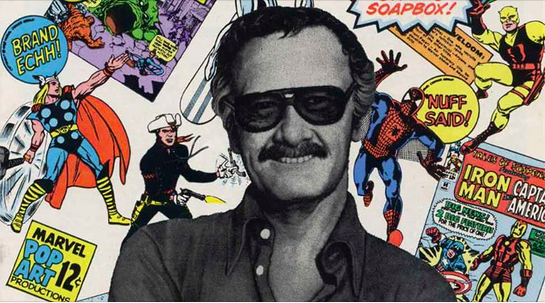 Stan Lee-- World's Most Influential Creator? Think about it. Who has created a world more famous than the one Stan spearheaded? Stephen King (or insert another contemporary writer) is a great writer, but I don’t see alot of Stephen King t-shirts in the Amazon. Madonna ( or any number of the contemporary singers), sure you may see something every now and then, but not with the outright regularity of Marvel Super -Heroes. I can argue that I see Beatles references and Michael Jackson references often world-wide, but again, not the variety of images, or the number of unique people/characters that Marvel boasts. What Stan wrote, along with the art and creativity of Jack Kirby and Steve Ditko et al, and what he then presented to the world, in his undeniable infectious way, was a perfect storm. I think firstly it was that lightening in a bottle mix. Stan had the perfect gifts and gathered the perfect talents at the right time to create worlds that we could relate to, dive into,…LOVE. The characters had empathy and vulnerability.. . Something lacking in many books of the time. Maybe the appeal is as simple as the idea of somehow the future being good, and some people-- our characters or group of characters--caring enough to protect what’s good about it, and about us as a species. There’s an optimism in that. The ONLY person I can think of that rivals what Stan and his team accomplished was Walt Disney! And actually I think they were selling the same thing. I don’t know if Stan knew it at the time… I’m sure he did, but he was one of the world’s greatest showman. And the product he was peddling , selling as it were, to an eager public was … an endorphin rush of excitement, with a big chaser of hope.